Highway Services Group | RoadSafe Traffic Systems, Inc. When you work with RoadSafe you get a partner that understands traffic safety and the need to keep motorists moving while workers, pedestrians and bicyclists are safe. 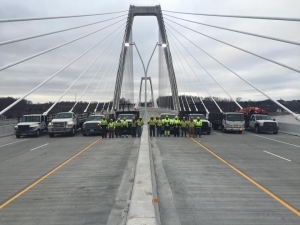 As a customer focused company, we can readily identify the right solutions to meet the rising demand for improved safety and mobility in and around your work zones or for crowd control and traffic safety at special events. For projects large or small, let RoadSafe be your source for the best in traffic safety products and services and expert installation.